2016 SPRING NEWSLETTER - Fanning Harper Martinson Brandt & Kutchin, P.C. - Fanning Harper Martinson Brandt & Kutchin, P.C. Fanning Harper Martinson Brandt & Kutchin, P.C. is pleased to provide you with our Spring 2016 Newsletter and Legal Update. Below you will find information regarding successes and activities of our attorneys. Please click the hyperlinks for updates regarding Local Government, Constitutional and Civil Rights, Products Liability, School Law, Employment Law, Automobile and Trucking Litigation, Premises Liability, Land Use, Zoning, and Regulatory Taking, Insurance Law, and Special Education. On Thursday, April 21, 2016, FHMBK attorneys THOMAS P BRANDT, FRANK VALENZUELA, LAURA O’LEARY along with Scott Bergthold, won a major victory for the City of Dallas when federal judge Sidney Fitzwater denied Three Expo Events, L.L.C.’s motion for preliminary injunction. Three Expo Events, a promoter of adult entertainment expos throughout the country, asked Judge Fitzwater to enter an injunction which would have forced the City of Dallas to allow the sexpo to return to the Kay Bailey Hutchison Convention Center. Judge Fitzwater agreed with our arguments and denied the Plaintiff’s request. This was a hard fought victory in a case that raised questions concerning the First Amendment and other constitutional law issues, misrepresentations surrounding Exxxotica Dallas 2015, and the application of Dallas’ sexually oriented business ordinance. Dallas Mayor Mike Rawlings was pleased with the decision. He stated, “Many have criticized the city council’s decision and the cost to defend it. They predicted a quick loss in the courtroom. They were wrong.” To read the court’s opinion in its entirety, click here. THOMAS P. BRANDT and JOHN D. HUSTED obtained a significant victory on behalf of a North Texas school district. A former student brought a Title IX claim against the school district, alleging that the district failed to protect him from student-on-student harassment based on gender and gender-stereotypes. 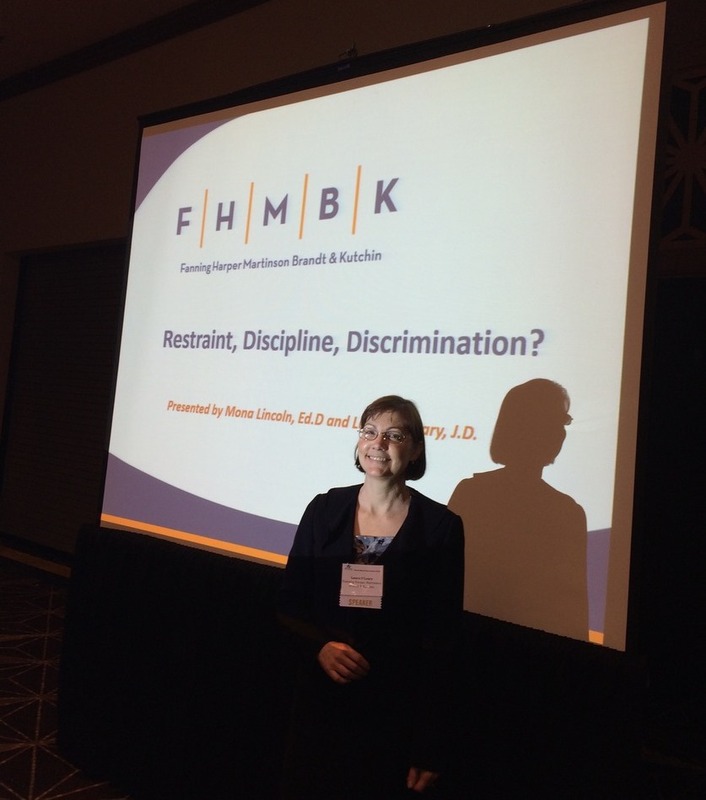 FHMBK moved for summary judgment on behalf of the school district. The District Court granted the motion and dismissed the claims against the school district in their entirety. Plaintiff has appealed. THOMAS P. BRANDT and FRANK VALENZUELA recently obtained a victory on summary judgment in state district court for a large North Texas school district on a case concerning the Texas Open Meetings Act. The plaintiff in that case argued that the school district’s board of trustees was required to have voted in open session to authorize the appeal of the verdict in a related case. FHMBK moved for summary judgment on various grounds and prevailed on the motion in its entirety. The plaintiff appealed the decision to the court of appeals, but recently voluntarily dismissed the appeal. MARC FANNING recently obtained three Summary Judgments in premises liability cases. One of them involved an area food bank organization which had been sued by a patron standing in line for free food when he tripped on a box full of product. Through our investigation, discovery and briefing, we were able to demonstrate to the Court that we were not in “control” of the distribution program nor did we have “notice” of the alleged dangerous condition. The other two successful judgments involved two different regional grocery stores for whom we were able to demonstrate to the Court were not liable for the fortuitous slip and falls of the customers who chose to file suit against them. FRANK VALENZUELA and LAURA O’LEARY recently obtained a victory in a lawsuit in which a former student athlete made allegations of sexual harassment and retaliation against a junior college and its president. The court dismissed all claims with prejudice and entered final judgment in favor of the president and the junior college. THOMAS P. BRANDT and JOHN F. ROEHM III obtained a victory in a lawsuit against a County on a Whistleblower claim. The case was significant in that the County was sued for allegedly assisting another governmental entity in retaliating against an employee of that entity for reporting wrongdoing on the part of the entity. Upon the request of the governmental entity, the County’s Sheriff Department conducted an internal administrative investigation for the governmental entity. The court granted the County’s Plea to the Jurisdiction and dismissed the County from the suit. 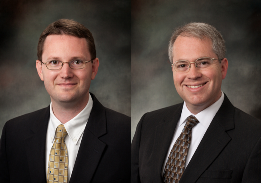 THOMAS P. BRANDT, JOSH SKINNER and JOHN F. ROEHM III obtained two victories for a North Texas School District. Three teachers filed suit in federal court against a school district alleging First Amendment claims, procedural due process claims, hostile work environment claims, race and national origin discrimination claims, and retaliation claims. FHMBK moved for summary judgment. The district court granted the motion and dismissed all of the claims of two of the teachers with prejudice and entered final judgment in favor of the school district. As for the remaining teacher, the district court dismissed all of her claims with prejudice, except for one claim of retaliation which survives. THOMAS P. BRANDT and FRANK VALENZUELA recently participated in an oral argument before the Fort Worth Court of Appeals, appealing an adverse jury verdict against a large North Texas school district. The appeal concerns various issues including the Texas Whistleblower Act generally, as well as the correct application of a statutorily afforded affirmative defense. 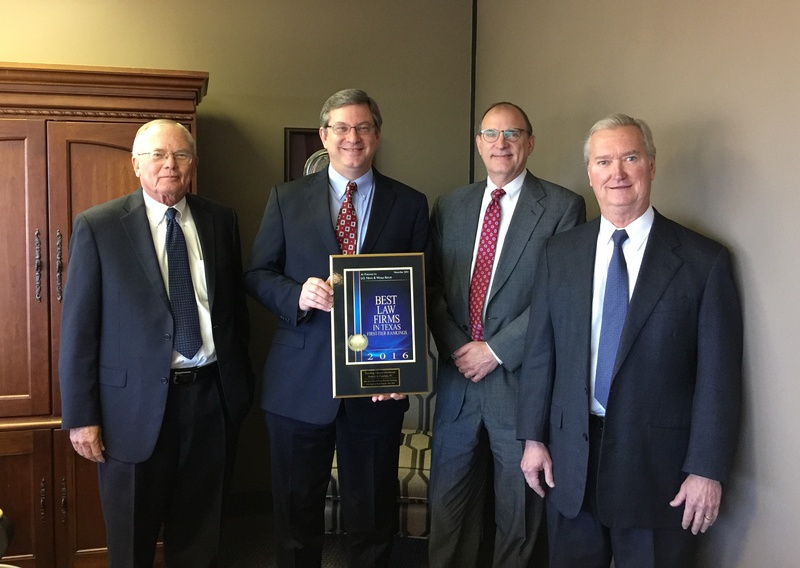 For a second consecutive year, U.S. News and World Report recognized FHMBK as a “Tier One” law firm in the area of insurance law in North Texas for 2016. This designation is a tremendous honor reserved for a very select few law firms. We are extremely pleased by this recognition in the field of insurance law. FHMBK is proud to announce that JOSHUA A. SKINNER, Of Counsel, and FRANCISCO J. VALENZUELA, Member, have been selected to the 2016 Texas Rising Stars list, making this the seventh consecutive year they have been honored among the state’s top young lawyers. Fanning Harper Martinson Brandt & Kutchin, P.C. 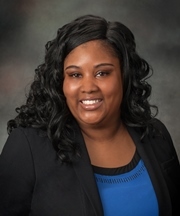 is pleased to announce the addition of LINDSEY N. HARDY to the firm as an Associate. Lindsey first joined FHMBK as Of Counsel in 2015. Her practice focuses on civil tort litigation, including personal and commercial automobile claims. Lindsey’s practice areas also includes premises liability, products liability, construction litigation and employment litigation. Lindsey received her B.A. degree from The University of Texas at Austin and went on to graduate from Southern Methodist University, Dedman School of Law. She is currently admitted to practice in all Texas State Courts, as well as, all United States District Courts in Texas. Lindsey previously worked as a trial attorney for another Dallas-based law firm. Please join us in welcoming Mrs. Lindsey Hardy to our firm. Laura O’Leary at the 2016 Winter Conference – Texas Council of Administrators of Special Education. LAURA O’LEARY spoke in December to a class of graduate students studying school law at Texas Christian University. Laura spoke to the class about litigation involving school districts and school personnel. FRANK VALENZUELA spoke in January to a group at St. Mark the Evangelist Catholic Community in Plano, Texas, about hot-button legal issues regarding religious liberty. LAURA O’LEARY participated as a member of the planning committee for the 2016 University of Texas School Law Conference, which was held in Austin on February 25-26. NICHOLE PLAGENS was once again asked by the SMU Dedman School of Law Board of Advocates to coach two mock trial teams that competed in the American Association for Justice (“AAJ”) National Student Trial Advocacy Competition. One of the purposes of the AAJ is to inspire excellence in trial advocacy through training and education for both law students and practicing attorneys. One way that the AAJ accomplishes this goal is by sponsoring a national student mock trial competition. This year’s Regional Competition was held on March 10 -13, 2016. On March 26, 2016, NICHOLE PLAGENS participated in judging the Howie Sweeny Moot Court Competition at SMU Dedman School of Law. The Howie Sweeney Competition is held annually and provides the SMU law student participants with invaluable training and experience in appellate oral advocacy skills. The competition consists of two preliminary rounds, a semi-final round, and a final round. On April 4, 2016, NICHOLE PLAGENS participated in judging the SMU Dedman School of Law Top Gun Competition. The Top Gun Competition is limited to ten student competitors who are selected from a pool of applicants based on the applicant’s previous success in on and off-campus trial advocacy competitions. The individual competitors compete in five skill sets relating to trial advocacy: (1) Voir Dire; (2) Opening Statement; (3) Direct Examination; (4) Cross Examination; and (5) Closing Argument. With the overall best advocate being crowned SMU’s “Top Gun.” The competition provides the advocates another opportunity to learn and hone their trial advocacy skills. FRANK VALENZUELA was recently appointed to serve on the Board of Directors of The Bella House. The Bella House is a house of hospitality that offers love and support for homeless pregnant women in the Dallas area. The Bella House seeks to serve women in need by providing for both their emotional and physical needs. FRANK VALENZUELA will be presenting at this year’s State Bar of Texas’ Government Law Boot Camp being held in Austin, Texas. He will be speaking on the topic of Qualified Immunity on Wednesday, July 27, 2016. THOMAS P. BRANDT will be presenting at this year’s State Bar of Texas’ Advanced Government Law Course. He will be speaking on the topic of Religious Liberty on July 28, 2016 in Austin, Texas.